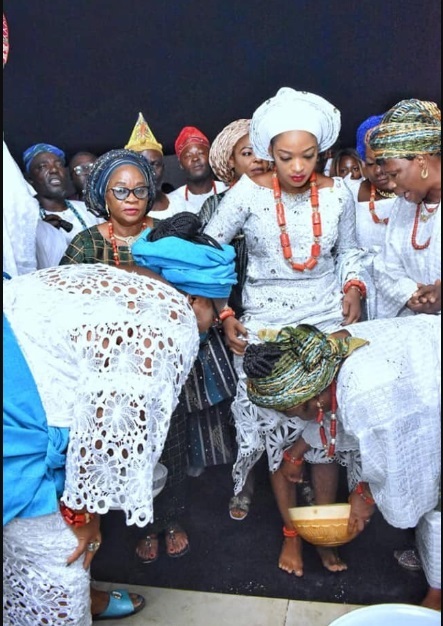 Social media users have reacted after Naomi Oluwaseyi, the new wife of Ooni of Ife, Oba Adeyeye Ogunwusi, was spotted undergoing necessary rites and traditional ritual yesterday in order to fortify her stand as queen. Recall that the Ooni took to his social media page to share lovely photos of his new wife writing: “I waited upon the Almighty the King of kings, he eventually did it in the midst of many trials. “Shilekunola, Moronke, Naomi; the greatest Arsenal you can apply on this highly revered throne with many rules and regulations in the midst of undiluted tradition, heritage and culture is the “Fear Of God In You”, which is the beginning of your wisdom on this throne of Oduduwa. “You are welcome home my beautiful and adorable queen. #OoniOfIfe #Otisese”. 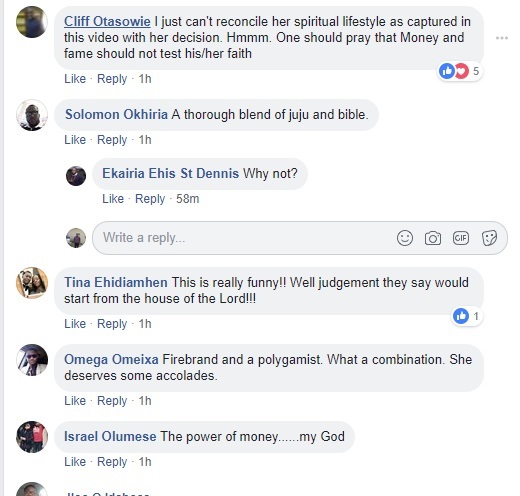 The 25-year-old Ondo born prophetess whose bride price was reportedly paid Thursday was said to have started public ministry at the age of eighteen before she ventured into full time ministering in October 19, 2011. However, many are reacting after she was seen walking on blood – a ritual she must perform to become the queen. 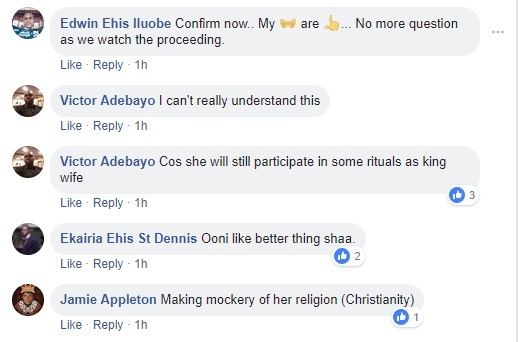 Many have questioned her, asking why she should undergo such a ritual even though she is a Christian and a prophetess at that. They also called the act fetish.